But, Star Trek was another story altogether. That came out when we were freshmen in high school and I was pretty sure that we should be spending our Friday nights hanging out at the high school youth center giggling at boys. Marie wanted to stay home and watch Star Trek. I hated Star Trek. 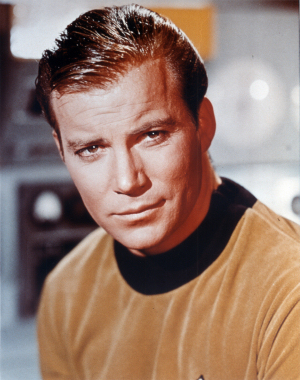 And to add insult to injury, William Shatner couldn’t even act worth a hill of beans. You see as a kid I’d been taught the “talent myth”. Everyone had a talent for something, and once you discovered what it was your path in life was set. I figured someone who wasn’t a better actor to begin with just didn’t have the necessary talent and wouldn’t last very long. In Malcolm Gladwell’s essay “The Talent Myth” he talks about a talent mind-set, which he calls the new orthodoxy of American management. Basing their strategy on “The War for Talent”, written by three McKinsey & Company consultants: Ed Michaels, Helen Hanfield-Jones and Beth Axelrod, companies need to identify and reward talent early in order to get the best employees. Hiring and promotion policies should revolve around picking the naturally talented, who will effortlessly blow the top off of performance goals. Nurturing professional growth is just a simile for coddling poor performers. The trouble with looking at “talent” as an end in itself is that the “talented” need to worry less about performance and more about keeping the perception of their talent alive. Career suicide follows the loss of the illusive “it”. In the meantime, William Shatner got another acting job, some really bad cop show. He was on it for years, when much more talented actors had come and gone. What did he know that I didn’t? Maybe his edge was in understanding the business of television. The more I learned about business the more convinced I became that it was Shatner’s business smarts not his acting ability which kept him employed. Fascinating. In her book “Mindset”, the psychology and personality researcher Carol Dweck, Ph.D. talks about fixed vs. learning mindsets. Those with fixed mindsets believe in their own innate talent. They have an overwhelming need to protect their perceived status as proof that they are talented. Carol Dweck performed a key study at the University of Hong Kong, where all the classes are taught in English but not all incoming Freshmen are fluent. Improving English language skill is essential for success. Then she asked the students if they would be willing to take a course to improve their English skills. Students with a fixed mindset turned down the opportunity to take the course. They were unwilling to expose their deficiencies. I had a fixed mindset regarding the arts and sports. Without innate talent I’d be out of luck, but I knew business was something that could be learned. Persistence mattered. In the meantime William Shatner actually learned how to act. He hit his stride in his 70s as a comic actor. I finally became a fan when he starred as Denny Crane in the series Boston Legal. Through all the ups and downs of his career he persisted and continued to learn. The thing he knew, his edge, was that the learning mindset could be applied to any skill. Persistence is what counts. Beam me up, Denny Crane! I really enjoyed reading this post. I’d never really thought about William Shatner’s career in those terms. I loved Dweck’s book. Its made a huge difference to me personally, and also in the way I praise the students I teach.